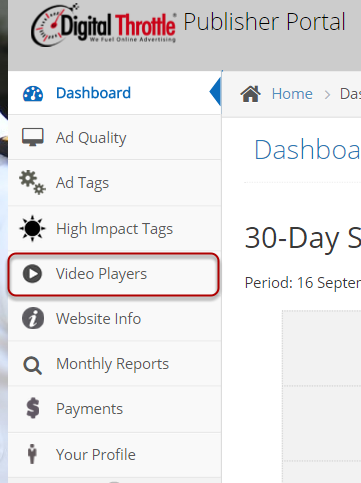 This steps show you how to find a single video and embed into your site. 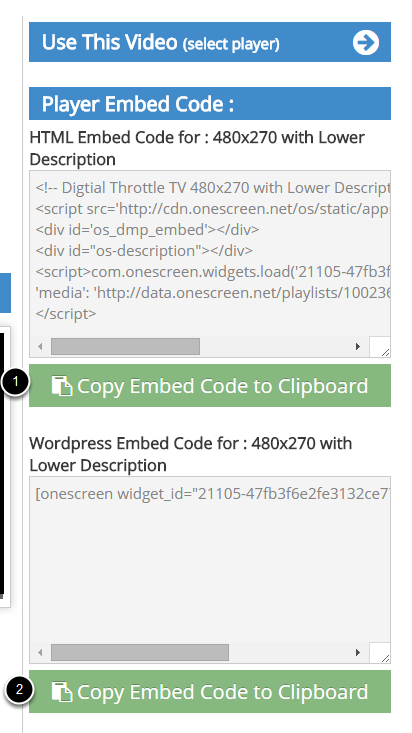 On right top, enter a search term & click "search"
Note: to check the player code before embeding, use a site like http://www.htmledit.squarefree.com to paste and view the player. 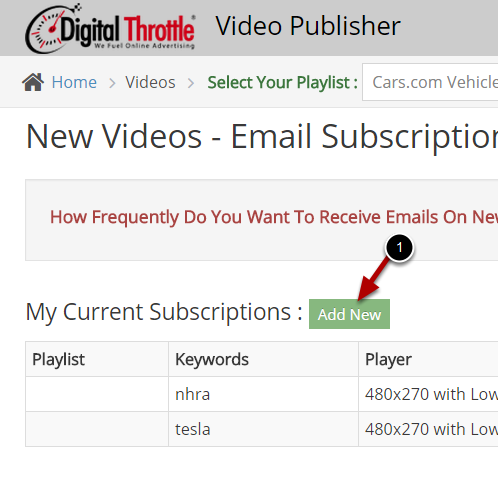 When you subscribe to receive new videos we've uploaded, the email will automatically contain the desired video embed code to use! 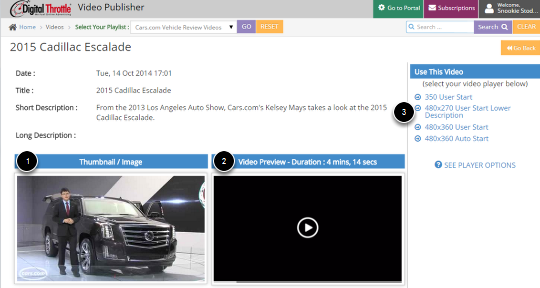 No need to rememeber to login to the PORTAL to find videos. 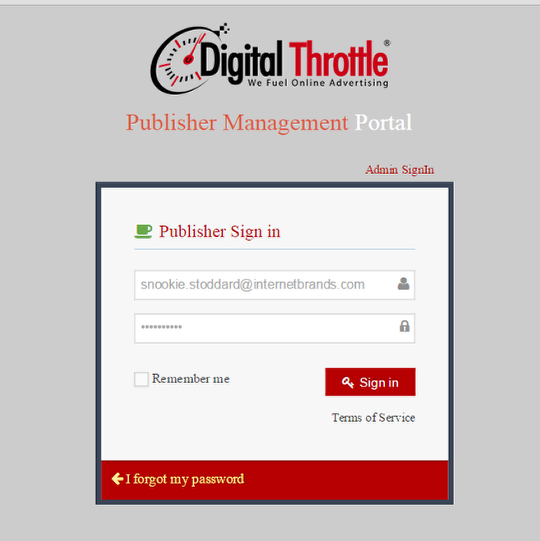 You can also set a schedule to receive the emails immediately or at the end of the day. (1) Select from our existing videos. 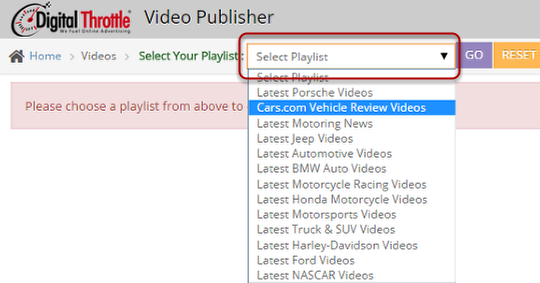 NOTE: the options in caps and including asterics are real playlists and will send you ALL the players for that entire segment, such as ** AUTOMOTIVE VIDEOS **, ** MOTORCYCLE VIDOES **, etc. (1) Be sure this is "None - use Keyword"
(2) Enter your keyword. For multiple keywords, use a comma. 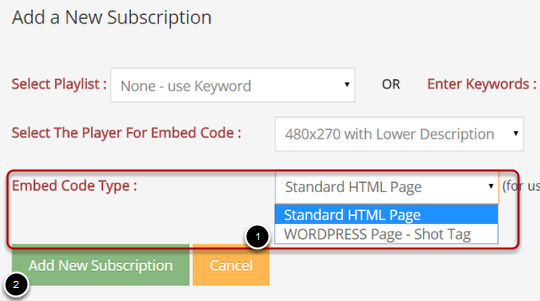 Best Practice: for multiple vehicles or topics, better to setup unique subscriptions instead of entering multuple keywords here. 10e. 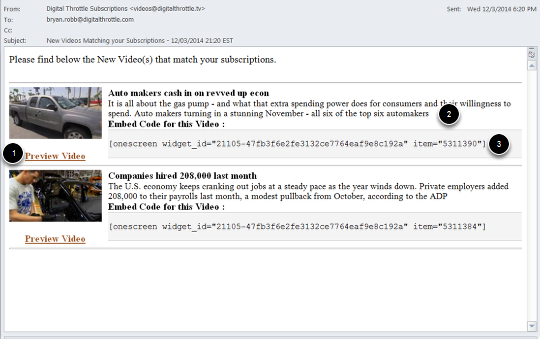 Select the Type of Code you Need & "Add New Subscription"
(3) Copy the video code from email here. Just manually highlight and "copy"
2. Left Navigation, click "Your Profile"
3. Click green oval on righ "Manage Users"
5. 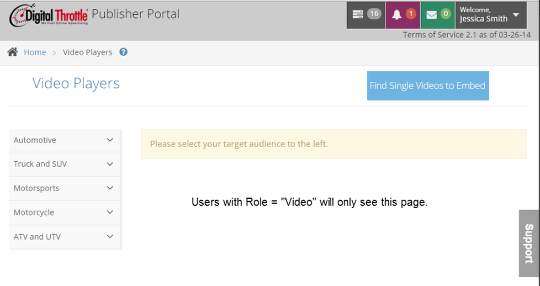 Under "Role" - select "Video"
To manage existing users, follow steps 1 - 3 here and see the list of users on the right.